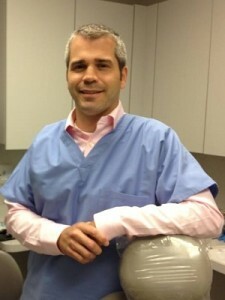 Jeffrey Schoenberg, DDS, graduated from the Columbia University School of Dental and Oral Surgery in 2006 and went on to complete his General Practice Residency at New York Presbyterian Hospital at the Weill Cornell Medical Center Department of Oral and Maxillofacial Surgery. Additionally, Dr. Schoenberg had a lengthy rotation at Memorial Sloan Kettering Hospital providing dental care for cancer patients. As an Associate Fellow of the New York State Academy of General Dentistry, he is actively involved in furthering his dental education and bringing his cutting-edge knowledge to our fortunate patients, as well as other dental study clubs that he participates in. Dr. Schoenberg, an avid outdoorsman, has been treating our patients with his kind and gentle demeanor for over 12 years.